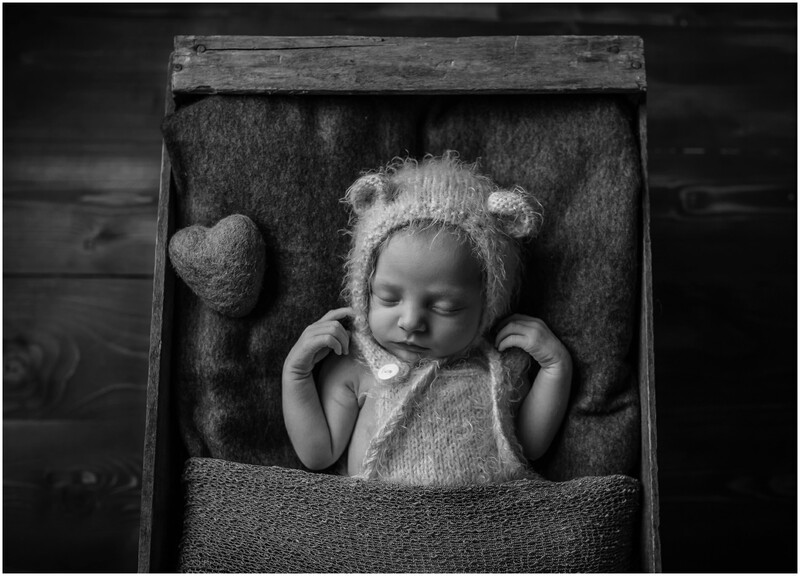 Last week i held the second Newborn Photography Workshop at my home studio in Accrington. Three lovely ladies came along for a one day workshop where they could learn how i create beautiful Newborn Photographs. 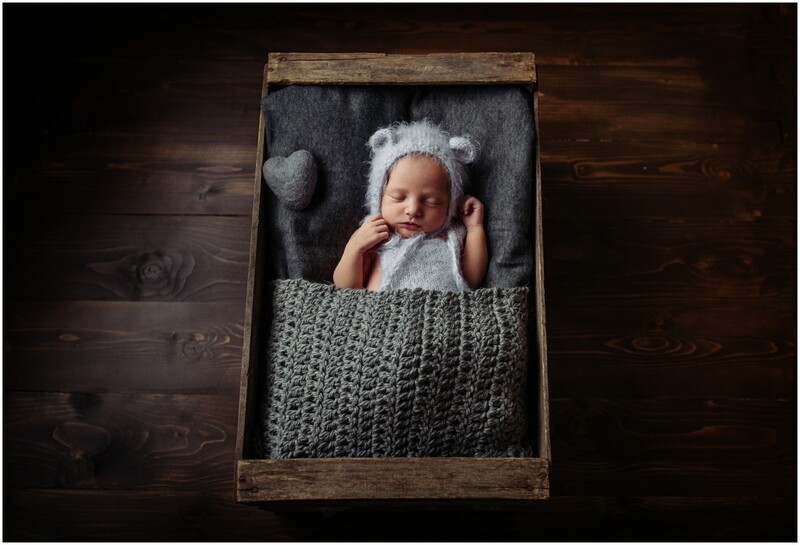 You can find out more about the Newborn Photography Workshop here. In the morning I showed the ladies through some of my work and talked about how i created them. Most of the attendees had done some form of Newborn Photography before, but wanted help with posing, lighting and confidence when handling someone else’s baby. We covered equipment, posing, safety and preparation in the morning and set up the studio ready for our baby model who was arriving in the afternoon. 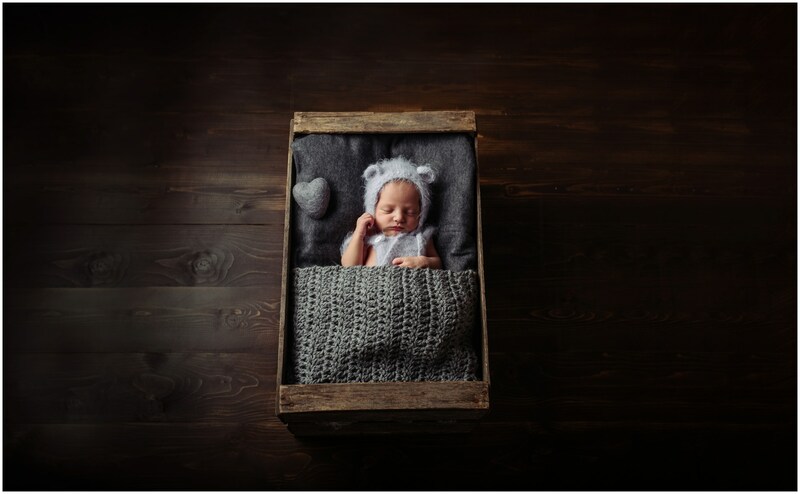 We selected a beautiful wooden log bed and a vintage wooden crate which we would photograph on the real wooden floor my other half made for me. We also set up the bean bag with a salmon pink backdrop and some lovely neutral tones underneath in case we had time for more. After lunch our newborn model Layla Li arrived with her lovely mum all the way from Glossop! Layla Li was 10 days old but arrived two weeks late, usually premature babies are sleepier for longer allowing us to push the usual time constraints. 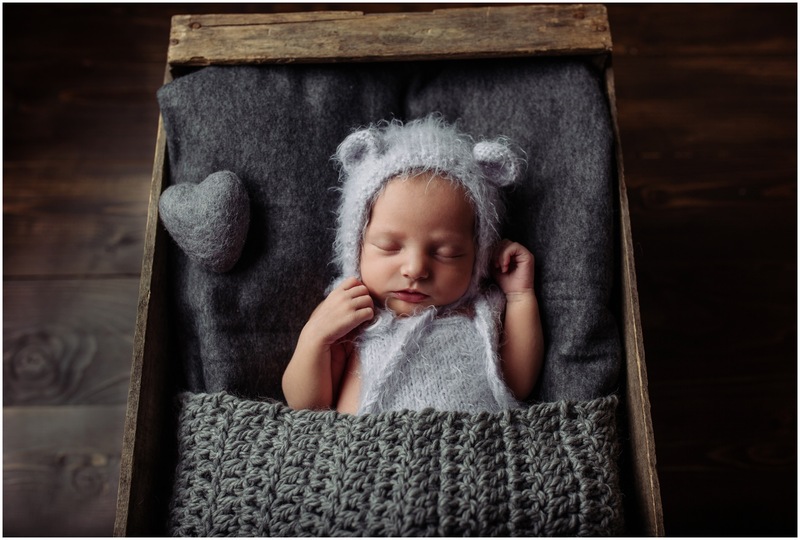 I would usually try to do a newborn session in the first 10 days but premature babies can often be photographed up to 3/4 weeks depending on how late they were. Every baby is different so i always ask parents their birth story in addition to whether they are breast or bottle feeding as it helps me build a picture of how likely baby is to be settled then i can set up the studio accordingly. Layla Li was very sleepy but a little restless and needed settling in between poses, it was for the attendees to see how to settle baby whilst posed because not all babies sleep solidly during newborn sessions (very few do!) so a large part of being a newborn photographer is knowing how to settle baby or wrap them to make them nice and sleepy. Have a look at Layla Li’s gorgeous session images below.